Our fantastic product range is better than ever this year with over 100 new products and you can check out videos of them online or better still, in store where we can offer advice on how to put together the perfect display. First one to guess the Trafalgar Fireworks Director’s favourite firework wins it in time for the Guy Fawkes celebrations. Draw takes place on 31st October at our central Norwich Trafalgar Street store. 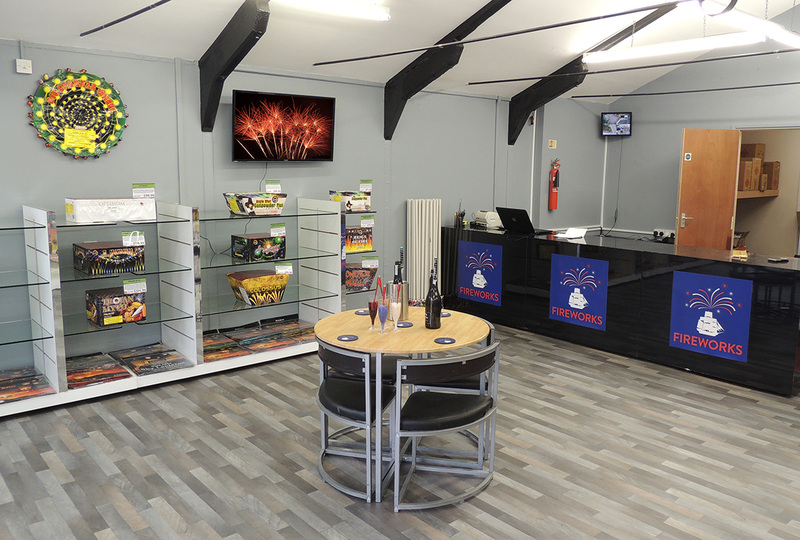 Click and Collect is now available from Trafalgar Fireworks Norwich. Simply select the products you want and purchase them through our website and we will have them ready to go within the hour. No more trudging around a supermarket for inferior products, our entire range of quality, specialist fireworks is ready for you in our new product area. Trafalgar Fireworks 1st birthday, website update with full product videos, loads of new items and many special offers with free fireworks.